Welcome to the new Minor Arcana site. This site is aimed at teenagers, but we hope it will be useful to anyone interested. The site is at present still under development, and we are adding things all the time so please bookmark it and come back in a couple of weeks to see what else we have on here. If you have any comments, questions or suggestions, please e-mail us. 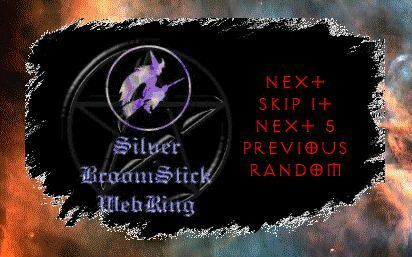 Want to join the Silver BroomStick Webring?